1. Mix two thirds potting compost with one third clay mix. 2. 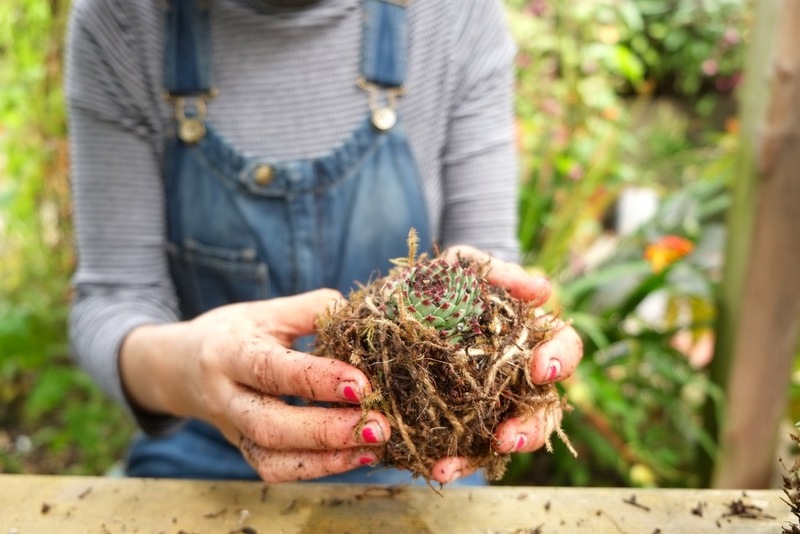 Shake soil off the roots of your plant then use your clay- soil mix to create a ball around the roots. Carry on until the sphere is the size of a grapefruit. 3. Roll the ball in clover seeds then wrap the sheet of moss all around the ball, binding it with the twine. 4. Leave a length of twine to hang your kokedama in a warm, sunny spot. 5. Spray your kokedama with a plant mister at least twice a week. It will regularly shed moss so hang it over somewhere easy to sweep. Never hang it over a fancy carpet or rug.